I took the Case this Sketch #129, and dropped it onto it's back. I am entering this in the Tag You're It Challenge, #24. Below my entry is the inspiration photo. Supplies: SSS Set Sailing, White EP, glitter paper scraps, Clearly Besotted Wave Die, Pretty Pink Posh Stitched Duo One, Copic Markers, Hemptique twine. The current Fusion challenge is Bright Butterfly. The colors at Fusion are phenomenal. I had to play along. Another note card, I loved the front to much to add a sentiment. Supplies: Zig Clean Color-Pink, Bright Yellow, Cobalt Blue; Clear wink of stella, glossy accents, Clear EP, HA- F5741(Etched Daisy I think), SSS Butterfly Tendrils. I just opened my new SSS card kit for July, and I am so in love with these stamps! I love boat rides and being out on the water (but not in the water...I still haven't recovered from Jaws all those years ago). 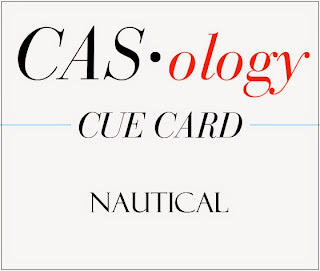 I've used the sketch form Freshly Made Sketches 192 and the theme from CASology-152 Nautical for my card. I used a lot of white on white which I love, but is difficult to photograph. Supplies: SSS Clear Sailing, SSS Happy Everyday, SSS Stitched Circle, Zig Clean Color Real Brush Pens, Darice Clouds Background EF, HA Silver EP, Versamark, SU Cardbase, Neenah Paper, DCWV Glitter paper. 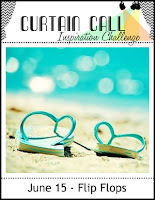 Oh this challenge was so far out of my comfort zone...but sometimes you just have to play, and take the advice of your card (more about that below). This is for the Simon Monday Challenge Stamp and Mist. I grabbed a piece of watercolor paper, and a TH stencil, two bottles of spray mist by Heidi Swapp and spritzed 4 times. I added two die cut Adirondack type chairs and added a stamped sentiment from Paper Smooches and a die cut from Simons. I had taped the die cut down, but it moved on me. Instead of tossing it...because I kinda liked the weirdness of it, I just mounted it higher on a contrasting card base...it says relax, so I did! Just to make that "a" stand out a bit more I added a large sequin to the middle. I have exactly two Ellen's Essentials items, both of which are dies...AND I love them both. These bold blooms are so much fun to use. For the June Pin-Sights challenge I was inspired by the sherbet like tones, and the touches of gold. The background piece was a first try playing with my new Zig Clean Color real brush pens. I wanted the scribble lines to remain and have the color spread, a bit like a sherbet marble. I used a light gold embossing powder on the die cuts and added a couple of sequins. I had been thinking about the Up in the Air challenge over at The Male Room, and Saturday there was another of my beloved Hero Arts Scrambles the theme Cecilia gave us was Vintage. One of my favorite man-stamp sets is Hero Arts Past Times, and I really love the balloon in it. ETA-This is also going to SOS-207 for the boys. 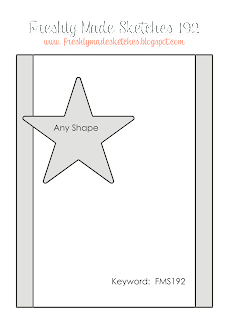 This is a smaller card, 3.5" x 4.5". Supplies: SSS Circle Card Border, HA Past Times, HA All The Time, Distress Ink, Copic Markers, Clear EP, Brad, SU Card base, Foam Tape, Papers by Neenah & AC. It's funny, I have had that circle card border die for a long time, and never used it. So I sold it, but I made about 10 die cuts of it first just in case, and they are coming in handy. Last Friday night, I attended a scrappy/crafty evening with some local ladies. We ate, laughed and even got some crafted items made. I brought just a small supply of things to work on. Specifically some water color paper that was stamped with images, colored card bases, a water filled wink of stella pen, and my distress markers. I got 6 cards made for a card set, I made two of each design. These are meant to be note cards so I placed no sentiment on the fronts. I thought that might take away from the images. Somehow this sketch, from Retro Sketches #169, just struck a chord with me. 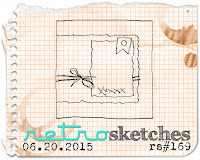 Normally I am not fond of square cards, but this sketch I loved! Supplies: Artful Flowers & Friendship messages - SSS, Some scraps of patterned paper, translucent embossing paste, distress dry glitter, dmc string, distress markers, liquid pearl, square card base. Now that I have a few weeks without travel ahead of me I can participate in the Card Chain Challenge put together by Deborah Nolan. It is fun to send off a hand made card and to get one in return. You can sign up for the July chain here. I decided to use the colors and the sketch very loosely. 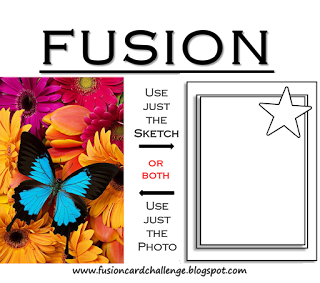 My card is going to the fabulous Becca of The Damsel of Distress, and I want to make a card she will hopefully enjoy. My two favorite things are embossing and water colors. I prepared a water color panel, after it dried I added some embossing paste leaves. While those were drying I water colored some flowers, and also heat embossed some flowers on vellum as well as the sentiment. Once everything was dry, I cut the panel down adhered the flowers and sentiment. Added some flicks of gold, some black liquid pearl and added it all to a coordinated base card. Supplies: Canson Water Color Paper, Liquid Pearls, Heidi Swap Color, Goldens Molding Paste, Kuretake watercolors, Gourment Rubber Stamps Stencil, Simon Says Stamp Artful Flowers, Vellum, SU Cardstock. My final Christmas card today is for Muse Christmas Visions # 7. Our muse this week is Betty Wright. My card was inspired by the blue and white color combination. Betty's card is at the bottom of the page. 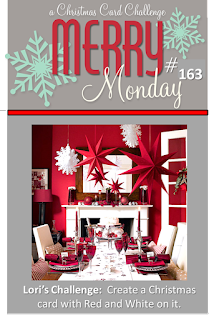 Another holiday card, this time for Merry Monday Christmas Challenge # 163, Red and White. My entry for One Layer Christmas Card challenge # 12. It is anything goes with an option of Green. 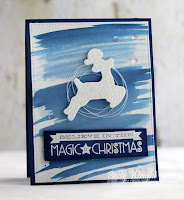 Supplies: SU cardstock, Hero Arts Gold Embossing Powder, Simon Says Stamp Be Joyful stamp set. Have you SEEN some of the new embossing folders that are out there? Wow the effects can be amazing. I picked up a new one by Spellbinders --called fabric weave...its like crinkles then smoothed out paper. When I saw the new challenge for Curtain Call - Flip Flops, I knew this embossing folder would be part of the plan. I thought the embossed paper looked a bit like beachy sand...so I inked it with some antique linen distress ink. 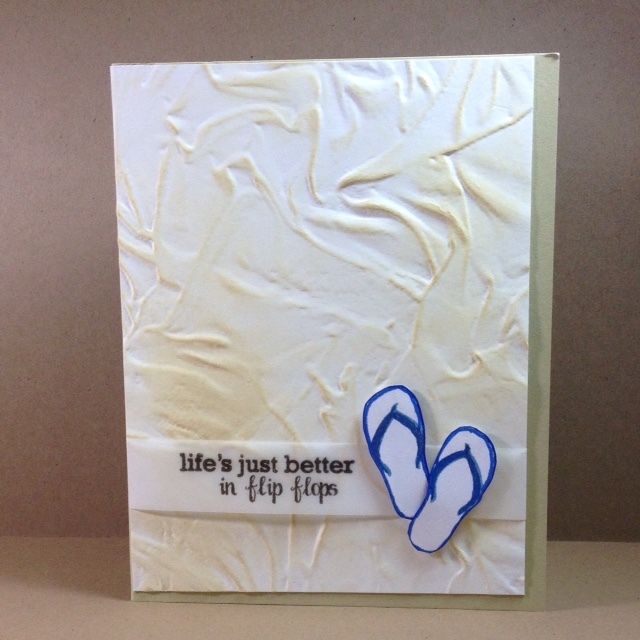 I stamped and added some wink of stella to the flip flops, heat embossed the sentiment on vellum and mounted the panel off set on a neutral card base. The challenge runs til June 25th. Click on the link above for details. 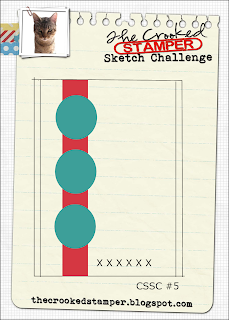 I have a card for Leslie's 5th sketch challenge. 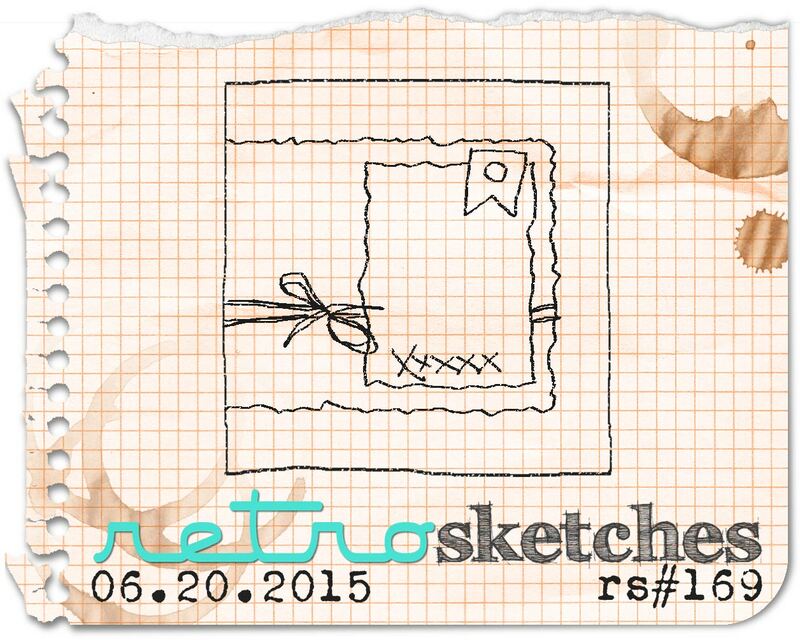 I did move the sentiment and flipped the sketch, but I am just calling it artistic license. Every so often I make a card that I like so much, I make multiples. Its not often...but now and then. The whimsy of this one appealed to me. Supplies: Simon Says Stamp Happy & Smile set, Tara Reed designs Birthday Presents, random enamel dots, Wink of Stella pens, HA Inks and SSS inks. 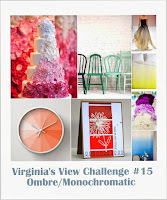 I am entering them to Virginia's View Challenge # 15. Supplies: Spellbinder - Wondrous Wings; Pretty Pink Posh - Stitched Duo 3; Distress Inks - Salty Ocean, Dusty Concord; Rock Candy Distress Glitter; Simon Says Stamp - Friendship Messages. A literal take on the sketch over at Case this Sketch #127. 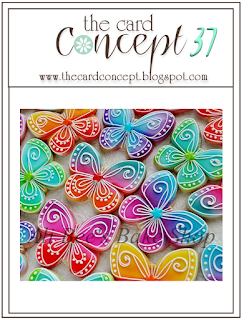 Have you SEEN the inspiration over at The Card Concept 37 - Butterfly Effect? Oh my...is it all the lush colors or that those butterflies look like perfectly iced cookies? Either way I was drooling and had to play. Inking, embossing, a curved cut times two and a fun sentiment and this card came together quickly! Such fabulous inspiration. I am calling it clean and layered. Supplies: Distress Inks Barn Door, Mustard Seed, Salty Ocean, Dusty Concord, Lifestyle Crafts SpringtimeEF, Darice Sequins, Hero Arts Anything Can Happen Stamps, embossing powder.